Juan Antonio Zamarripa [Esqueda] (Barcelona, Spain) on 22 March 2019 in Architecture and Portfolio. 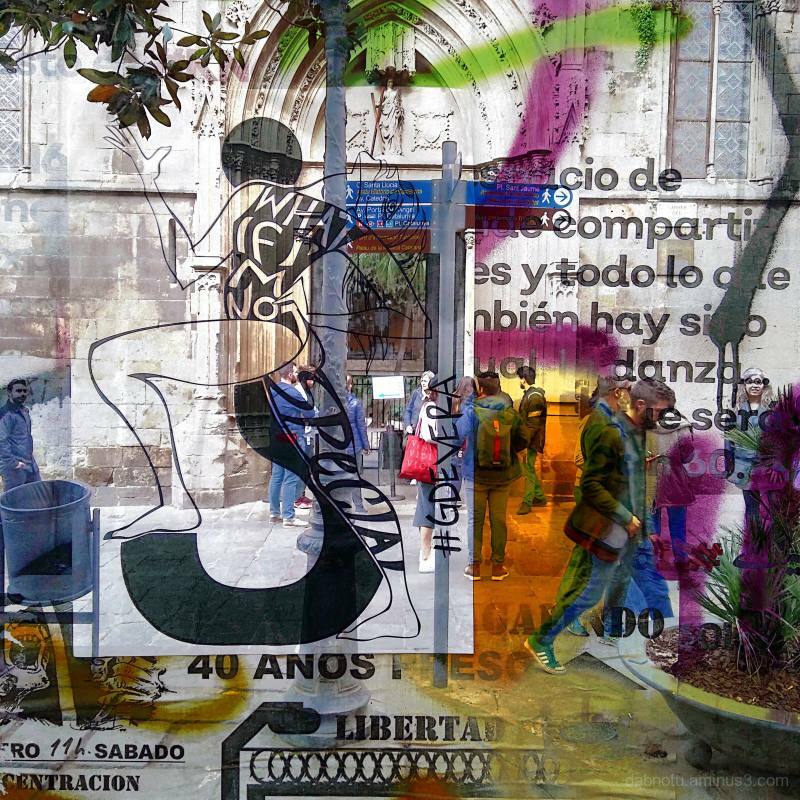 #Barcelona #Catalonia #Spain #Europe #StreetPhotography #Urban #Photomanipulation #MultipleExposure image made with a #LGK10 #Smartphone + The #GNUImageManipulationProgram. #Thanks for viewing + Peace ! @Ralf Kesper: Thank you kindly, Ralf. @Leslie: Thanks for your input, Leslie. Here's to peacefulness! Senseless or not, your interpretation got you into the Colour Spotlight - and rightfully so ! @Ronnie 2¢: Thanks for letting me know/your kind words, Ronnie! @omid: Thanks, Omid. This one in particular worked out well. Very often I don't understand your titles, but I feel rushed to discover, so, thanks for your work! @Jaya: Thanks for the effort in trying to understand the titles part of the "work" I post here. I hope that they complement each other, in any event. They're also meant to accompany other titles during the week to form a seven line "poem", which you can see here, if you wish. Salute! @Dutchess: Thanks for your kind words, Dutchess. @Peter: Thanks, Peter. I owe it all to my immediate surroundings. ;-) Be well. @Ruthiebear: Thank you kindly, Ruthiebear! @Chetan: I appreciate the time you took to comment. Peace. @Babzy: J'apprécie vos mots. Être bien!